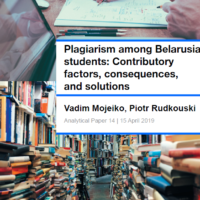 BelarusDigest > Politics > Is Belarus waging an information war against Russia? 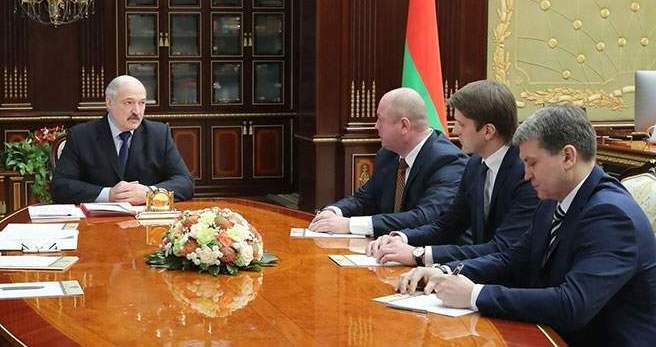 On 6 February, Alexander Lukashenka dismissed the heads of several major state media outlets. The president also said that Belarus should avoid the methods used by Russian TV channels. Much of today’s Russian TV conveys anti-Western and anti-Ukrainian messages. Belarusian state media outlets also maintain a clear anti-Western rhetoric, but their main task has always been the struggle against the “internal enemy” – the political opposition, as well as presenting a positive image of Lukashenka. On 6 February, Lukashenka replaced the heads of the main media outlets. He dismissed the leaders of the country’s main state TV channels, BT (Belarusian Television) and STV (Capital Television), as well as the head of the largest state-run newspaper SB Belarus Segodnya (Belarus Today). 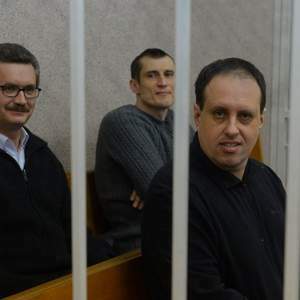 Hienadz Davydzka, Yury Kaziyatka and Pavel Yakubovich had headed the organisations for 7, 12 and 22 years respectively. Most likely, by the undesired forms of work, Lukashenka means anti-Western and anti-Ukrainian propaganda. Until now, one of the main vehicles for Russian propaganda remains its focus on Ukraine. As early as 2013, Russian media outlets such as RIA News, LifeNews, Perviy Kanal and Komsomolskaya Pravda began to actively distort facts, aiming to influence public opinion on the protests in Ukraine, the annexation of Crimea and the war in eastern Ukraine. Until now, Ukraine remains one of the most important targets of the Russian propaganda. The United States also appears as a frequent target. This became especially significant after both countries engaged in the civil war in Syria. The most recent fake appeared on the web-page of the Russian Ministry of Defence. On 14 November 2017, the ministry published a screenshot from the computer game Gunship Simulator: Special Ops Squadron and presented it as a proof of “US cooperation with the ISIS” in Syria. In addition to Ukraine and the United States, Russian propaganda attacked Lukashenka himself. In 2010, the Russian television channel NTV aired a series, Krestniy Batska (The Godfather), which criticised Lukashenka asserting that he “only holds power thanks to Russia” and “praises Hitler” among other things. In recent years, the Belarusian authorities have started to use vyshyvanka shirts and white and red ornaments previously associated with forbidden symbols (associated with the pre-Lukashenka era). Since then Russian channels such as Perviy Kanal have broadcast shows devoted to Belarus. Life News or Vesti.ru often present Lukashenka as a traitor who intentionally approaches the European Union and pushes away from Russia. In late 2016 Russian TV channels focused on the alternative interpretation of history supported by the Belarusian authorities. Is Belarusian propaganda similar to Russian? After 1994 Russian and Belarusian TV differed significantly. During the 1990s, when Boris Yeltsin served as president in Russia, the Russian media space lived according to market laws, free from censorship and political pressure. Incisive journalistic programs with different perspectives and criticism of the central government often appeared on Russian TV. 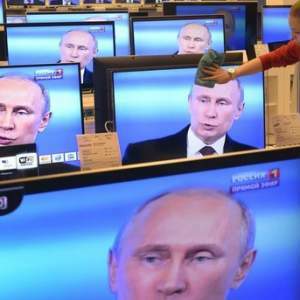 The Belarusian government sometimes restricted Russian TV-shows that included criticism towards President Lukashenka. The Russian situation started to change dramatically after Putin came to power in 2000. Russian oligarchs like Boris Berezovsky, who had a strong influence on the media market, were forced to flee Russia. In Belarus, soon after Lukashenka became president in 1994, alternative viewpoints gradually disappeared from state media and the state restricted freedom of speech. 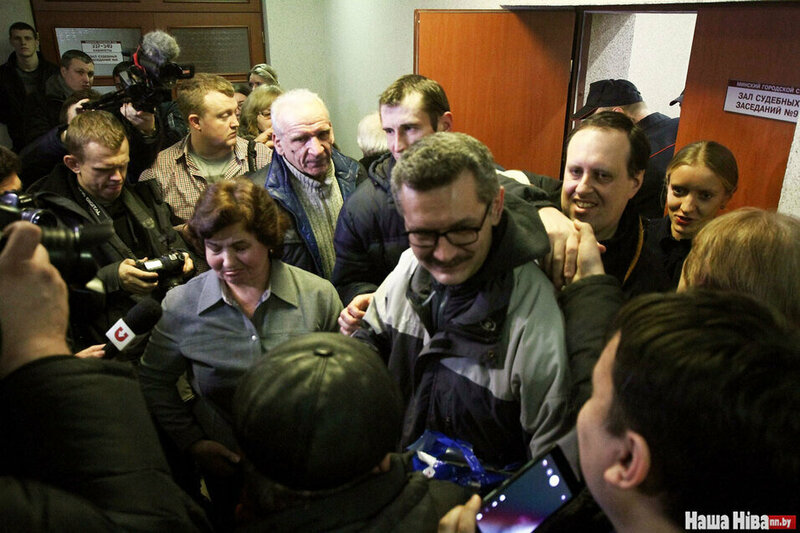 The Belarusian government understands that the Russian media strongly influence the worldview of Belarusian citizens. At a conference with the Russian media as early as July 2017, Lukashenka noted that the media itself unleashed the information war between Russia and Ukraine and that this affected Belarus. Aiming to confront Russian propaganda towards Belarus, state TV channels including BT, STV and the SB Belarus Segodnya newspaper continue to be the key providers of central state ideology. These media create a positive image of the government and foster a negative reputation of the opposition. Belarusian state media has broadcast the loudest propaganda films and articles aimed at discrediting political opposition. 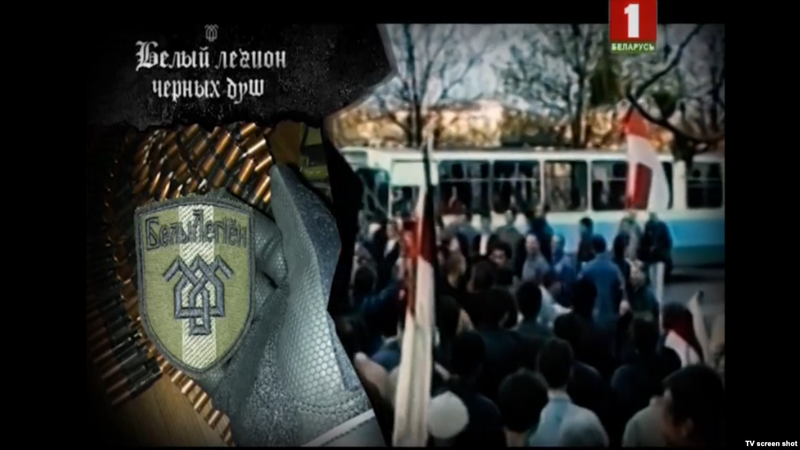 For example, in 2011, BT released a propaganda movie about the 2010 electoral protests, “Iron on the Glass.” Later, Belarusian television released a short movie during protests against the social parasites decree. SB Belarus Segodnya newspaper aired a series of reports to discredit the Belarusian opposition and public protests. The authorities recently abandoned one of the latest focal points for its propaganda, the widely-reported criminal case of the “White Legion”. The Russian government also employs media to discredit Russian opposition and blocks the web-pages of activists such as Aleksey Navalny. However, the Russian media typically prioritise the creation of a negative image of geopolitical news. For instance, on 15 February in the news broadcast on Russia’s Perviy Kanal twice accused Ukrainian citizens, allegedly members of the nationalist organisation “Right Sector”, of anti-Russian vandalism. In the same programme, the channel, without providing a clear source of information, reported on British spy planes on Russia’s Western border. To sum up, Russian TV mostly highlights geopolitical topics, consolidating the image of a hostile environment to strengthen Putin’s regime. Belarusian state media primarily focus on the activities of Lukashenka and failures of the internal opposition. Lukashenka’s decision to reshuffle the main Belarusian propagandists can hardly be interpreted as preparation for a full informational war against Russian propaganda. However, it may indicate that Lukashenka’s regime gets ready to more actively confront unfavourable propaganda from Russia.